Though tonight's meeting seemed pretty chaotic it boils down pretty simply. The Marigold Festival will be held Sept 13, 2014. Admission and Parking are free to the public. Click read more below to see the vendor maps. The announcement on the City Website can be found by clicking here The times for the live performances should be available there soon. I'll be there so come out and say hello. 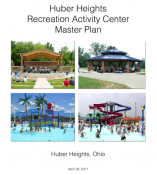 I've heard a lot of comments and received some inquiries about the Aquatic Center over the last few weeks. Over the last couple months council has been provided a running total of the number of attendees at the aquatic center this year. These numbers have been much closer to last years numbers than they have been to the first year's attendance numbers. There are a couple new broadcasts of the City Council Meetings. I received this message from the Clerk of Council. 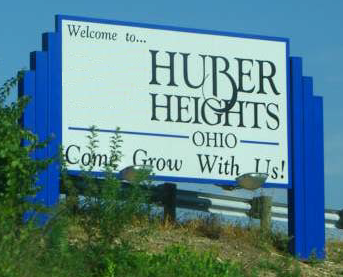 There are a variety of means for the public to view the Huber Heights City Council Meetings. Well - my picture was on WHIO and the DDN quoted the report in their article. This report was about the recall effort and after viewing it someone made a Facebook post. It is because of that Facebook post that I've composed this article. After seeing the news report Bill made this Facebook response. 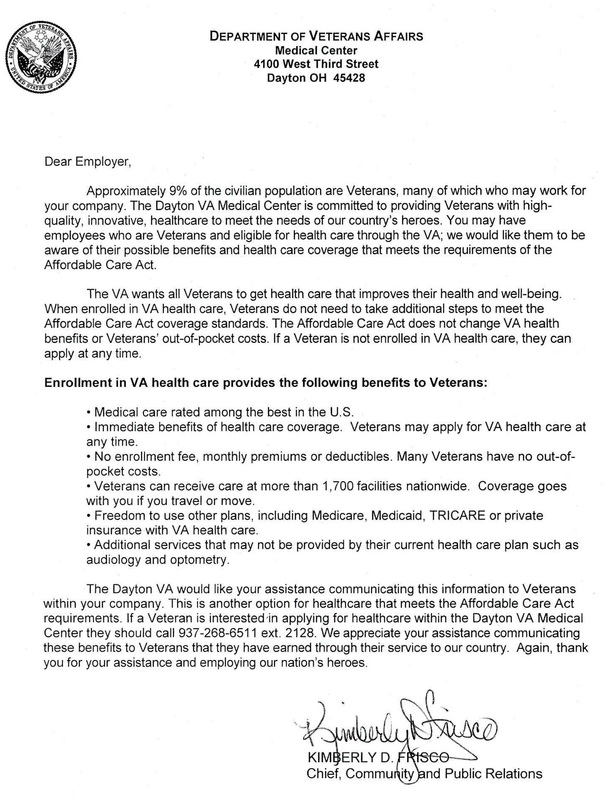 I received the following letter with contact information for Veterans eligible for VA benefits. 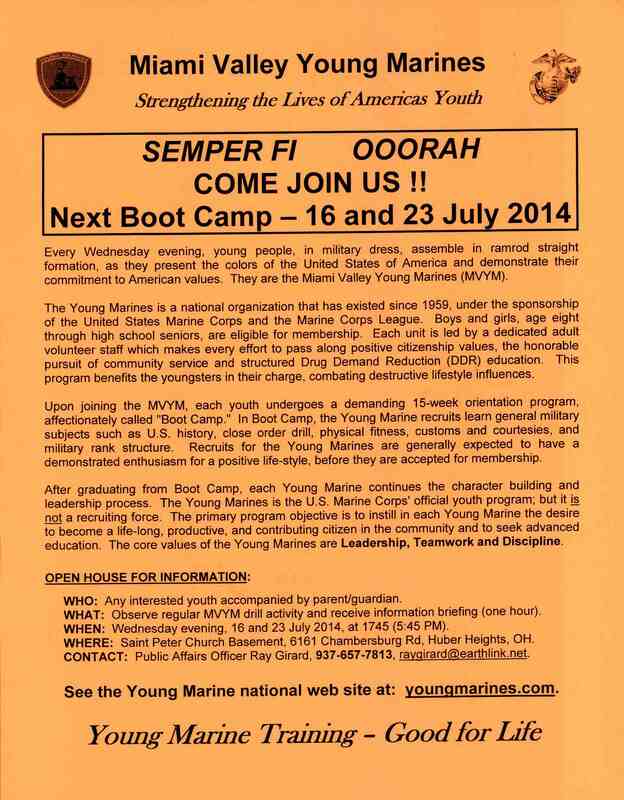 The Yound Marines meet in Huber Heights at St Peters. 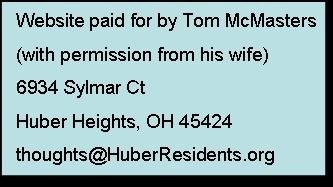 Contact information is at the bottom of the flier. Have you been duped into believing the Mayor is "just" a figure head? I received my water bill, this month and it has doubled, I have no leaks, and I do not understand why my bill has doubled for this last cycle, does anyone have any suggestions! Wednesday July 2 any time between 7:00 to 8:30 am, if you are willing to sit down and talk with me for 5 minutes, I'll buy you a donut and a cup of tea at Tim Hortons Donuts. I walked into the Ward 3 meeting this evening and I caught the last of the discussion where a friend of mine bought up the balances shown in 2014 budget projection of the balances for the Unencumbered Cash in the General, Police and Fire funds. Just a Reminder.......Some important dates are quickly approaching!!! !